In an interview with Adam Rubenstein of Weekly Standard, former Israeli PM Ehud Barak admitted that Hezbollah was born as a result of Israeli invasion and its prolonged stay in Lebanon, which he said was absolutely unnecessary and senseless. The occupation of Lebanon began on 6 June 1982, when the Israel Defense Forces (IDF) invaded southern Lebanon, after repeated attacks and counter-attacks between the Palestine Liberation Organization (PLO) operating in southern Lebanon and the IDF . By expelling the PLO, removing Syrian influence over Lebanon, and installing a pro-Israeli Christian government led by President Bachir Gemayel, Israel hoped to sign a treaty which Menachem Begin promised would give Israel “forty years of peace”. Hezbollah was formed in 1982 during the invasion around Beirut and backed by Iran. Israeli investigation by the Kahan Commission of Inquiry found that Ariel Sharon bore “personal responsibility” for failing to prevent the massacre, and for failing to act once he learned of the massacre. In June 1985, the IDF withdrew to a the South Lebanon security belt along with its principal Lebanese ally, the South Lebanon Army, officially ending the war. Despite this being considered the end of the war, conflict would continue. Hezbollah continued to fight the IDF and SLA in the South Lebanon conflict until Israel’s final withdrawal from Lebanon in May 2000. Here is the complete interview with the former Israeli prime minister. 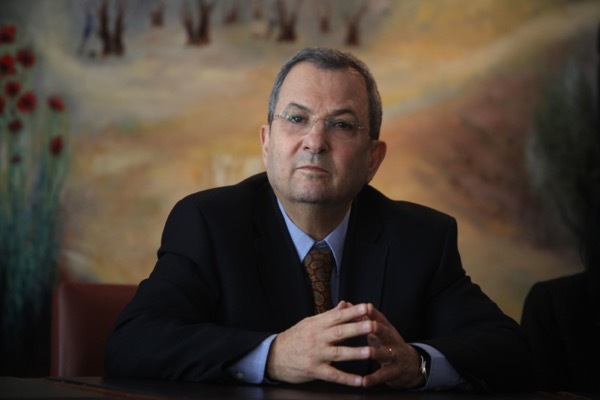 “Ehud Barak was Israel’s 10th prime minister. Before and after that, he was Israel’s minister of defense. He also served as minister of foreign affairs, and chief of the General Staff of Israel’s defense forces. On Wednesday, Barak and I had a wide-ranging conversation in which we spoke about Iran, Lebanon and Hezbollah, Bibi, the peace process, Israel’s Labor party, and his new book My Country, My Life: Fighting for Israel, Searching for Peace. This is a transcript of the second of two parts, edited for clarity. The first part can be found here. Adam Rubenstein: On May 26, 2000, you as prime minister, withdrew troops from southern Lebanon, you and the labor party had campaigned on this. Hezbollah, then, was pretty much just a guerrilla force, they weren’t as entrenched as they are now. Do you regret the way you approached Lebanon as prime minister and as defense minister, that you didn’t push back against Hezbollah with enough force? Ehud Barak: No, I think there is a misperception here about Hezbollah developed. When I ordered the pull out from Lebanon, it was already 18 years after we started. The real question isn’t why I did it in 2000, but why it didn’t happen in ‘85. It’s already 3 years after the war, no objectives remained there. AR: But Israel had to go back to Lebanon in 2006. EB: When Hezbollah started, when we entered Lebanon, we were welcomed with perfumed rice, from the shiite community, as the liberators of the suffering they had under the Palestinian terrorists. So, Hezbollah was born as a result of our extra-stay in Lebanon, which was absolutely unnecessary for any other purpose…even the rockets and missiles, which are now the main threat from Lebanon, even at that primitive time, even the short-range Katyusha’s could go over the whole security strip that we held in Lebanon, and land in civilian villages and cities. So — It was so apparently senseless, except for the prestige, which if we pull out, then we will have to explain why we entered to start with or didn’t leave after several months or several days as the prime minister promised when we entered. So it was actually the cutting of a tragedy. But it’s true that Hezbollah is developing through the idle years, but through the friction. It’s the opposite. The guillotine sharpens the senses. The fact that they were under accurate tank fire, and other accurate drone fire, and precision munitions from our jets makes them sharper and sharper, and push them to having to have more long range missiles. Even if you look at it, when I ordered the pullout from Lebanon, they had 7000, or 6000 miles. In the second Lebanon war, 6 years later, they used only — less than 4000 — they didn’t even use the arsenal that they had by then fully. But at the end in 2006, they had 14,000. So on average that means that between 2000 and 2006, they beefed up their arsenal by a thousand missiles and rockets per year. After our blow, our major blow in 2006, in the 12 years until now, they now have 140,000 rockets — on the average they added 10,000 per year, in spite of operations we launched to slow it down. So basically, under the physical circumstances, the practice is that they can find — there’s a long enough border, with long enough roads, and many cloudy days and nights that they can find a way to infiltrate. We should not underestimate the threat of Hezbollah and its rockets and missiles. To think that by one shot, the problem will disappear, that doesn’t work. There is no such a real option. So we have to act cleverly to keep the operations in Syria, to suppress the new tendency to equip them. We have to avoid it deteriorating into a full-scale clash which doesn’t serve us in any way. AR: Some see a similar tale in Gaza with Sharon’s 2005 withdrawal, which you supported then and as you write, still support now. Why? 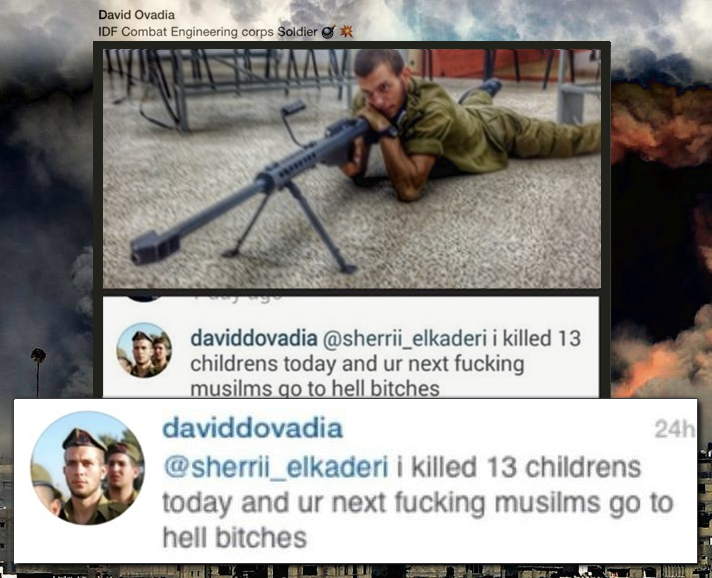 Seeing what Gaza has turned into, do you think now, that this should have been dealt with differently? EB: Yes, it could be done under the international umbrella, like we did the pullout from Lebanon under a UN Security Council resolution. And the cartographers of the UN came to the border, and designated the line which we were to draw — this gave a certain kind of backing to our position, certain international backing. That is why when we ended up attacking very forcefully into Lebanon in 2006, the world stood with us. The world said: Israel pulled out to the last meter, there should be no claims from Lebanon on Israel anymore. This didn’t happen [with Gaza] in a way, because we kept the main control of entry — the Egyptians have other parts. I think that we had more than one opportunity to loosen the strictures, to raise the life standards in Gaza; our real struggle is not with the citizens, it’s with Hamas. Of course there are always dual-use materials that should be under more careful control and inspection, and so on. Why this consideration? I should add: We are the strongest power in the middle east. We should stop complaining about what others are doing, and start thinking about what we can do. Because we are the most powerful, the most influential player, and we should have an objective and act upon it because we can afford it, act from a position of strength and confidence to deal with Gaza or to enter a negotiation with the Palestinians, or Syria or Lebanon. AR: What’s the future of the Labor party. You wrote in your book that: “Only twice in the four decades that followed would a labor leader defeat Begin’s Likud party: Rabin in 1992, and me, over Bibi Netanyahu, in 1999,” and in your chapter, “Labor Pains,” you write about the difficulty that the labor party has faced internally and across parties. What is the future of Labor in Israel? EB: I think that Labor by now is quite weak, but not beyond recovery. It’s all about temperament, drawing attention to the fact that this government, however likeable the situation looks in Tel-Aviv or in other places, underlies cracks in our society. It’s freely elected, it’s my government as well, but I think that they are doing the wrong things, in many areas, especially in regards to where we are heading in this political party. AR: But specifically labor: Avi Gabbay, Bougie Herzog. Do you see a bright future for them in Israeli politics? EB: I wish them all the best. I think that Avi Gabbay could be, and still think he’s a highly capable person. And that, for some reason, the atmosphere, which is heavily biased towards security issues, Iran, Hezbollah in the north, the proxies of Iran in Syria, the deployment of missiles in Syria, that attracts the anxieties and worries and makes the position of Gabbay and Lapid a little weaker. But that can change. I don’t see it as a lost battle. But it’s true that the left wing in Israel as in the whole West is different in temperament from the right wing. The right wing supporters are like football fans, they’re always energetic and never lose loyalty to their team, while the left wing behaves more like a debate class in an ivy league university, sitting in an air conditioned room discussing the issues. They’re still quality people but they have less drive to go out to the street, to individual to individual. The center-left should be much more aggressive in their position. Think of how our streets would look like if labor was in power now — with events on the temple mount, or the attacks on the supreme court, or the sticking behind a leader who is the elected prime minister, but he is deeply involved in criminal investigations. I used to joke, only half-jokingly, that if a center-left wing prime minister was surrounded by so many criminal investigations, his own base would eject him out of power. They wouldn’t wait for the opposition. They would do it on their own. It hints to different attitudes or norms. AR: Late in your book you compare Netanyahu to a “rabbi in a shtetl or a speaker trying to raise funds for Israel abroad,” and you take specific issue with him because of his “increasing use of Holocaust imagery” in describing the threats. EB: You know, I spent most of my life serving in uniform. And I dedicated my life to tackling the threats to Israel. So I’m fully aware of them and I never recommend to underestimate any kind of threat. And we are living in the Middle East, it’s not the Midwest. It’s a tough neighborhood. In the Middle East there’s no mercy for the weak, no opportunity for those who cannot defend themselves. The only opportunity for us to survive in such a tough neighborhood is to build the famous iron wall. EB: Yeah, yeah, Jabotinsky. The iron wall that Jabotinsky professed and Ben-Gurion and his followers, including Rabin and myself, built actually. So Israel is by now, the strongest, by far, militarily, technologically…power in the Middle East — we built this iron wall, so the question is, what follows? One of the issues is that we removed the existential threat, for decades. We are not existentially threatened militarily. Israel developed advanced and turned stronger in a matter of years between wars. I do not underestimate the risk, but I’m allergic to the apocalyptic descriptions of leaders at the service of politics. It denies our main achievement. It distorts the judgment of both politicians and the public. In regard to the Iranians, and even earlier, with the attack on the Syrian reactor. If we need to do it, we will do it on time, we have very good intelligence, we have an opportunity to prepare everything well. I didn’t like the apocalyptic metaphors who describe what will happen, what kind of catastrophe will happen if the reactor is completed. The same, several years later with the Iran. In cabinet meetings and outside, there was a tendency to dramatize the whole issue by saying it’s like Munich in ‘38, like it’s World War II. I don’t like this. We need to be ready to defeat any enemy but that doesn’t mean we have to frighten ourselves or our public about ‘38. What does a sober-eyed Jew in Europe have to do in 38? He has to flee out of the place! So what’s the comparison? Is there any threat around that might cause us to pick up our property and go to back to North Africa or Eastern Europe? No! We are there for the rest of days. AR: So who comes after Netanyahu, who do you think is best situated to lead Israel? First of all, when we are talking — Bibi is probably in his best year of being prime minister. Trump’s speech yesterday, for Israelis resonates very closely with the things they have heard many times from Bibi. This achievement of our intelligence, that is used as proof that Iran has lied all along the way for those who didn’t know it before, and in an impressive way, he is standing at the ceremony for “V” day, you know in Russia it is “V” day. So he’s with Putin, watching the successor to the Red Army, it’s a great time for him. But I think, like every good thing, it’s going to go away at some point. AR: But who next? Who would be an effective leader? Yair Lapid? Naftali Bennett? EB: You can never predict it. Leadership emerges a result of events within this Gestalt, within this reality the voters, the leaders. You need all elements. Unlike this America, you don’t know what day it will happen. You don’t know what will happen, what will be on the table at the time. Will it be security, will it be gaps between the secular and the religious? Will it be an economic crisis? Or will it be these criminal investigations? You can’t know. AR: Is Mahmoud Abbas a partner for peace? I’ve subscribed to the view that Arafat had the ability to make peace but not the will, and that Mahmoud Abbas has the will, but not the ability. But perhaps it’s closer to the truth that he doesn’t have the will, either — especially given his anti-Semitic speech last week. You’ve known both of them. What’s going on here? The speech was a lot of his frustration and mood. He declines into depression and that’s his kind of, revenge. He’s declining. You could never know in the heights of his power if he could deliver on his better attitude. It looks less probable after this speech. I know enough about the loss of trust between the two sides…it’s about who at the end will be described as the party that caused the failure. AR: Because I have to ask: Do you think you’ll re-enter politics? For last 2 days only in Yemen killed 115, how many in Syria anyone knows? ‘Soldiers’? Rather serial killers. Ha Hah..! Not a virus, legit link. You should watch it. I’m sorry you weren’t pleased with the video. I understand, because it is ugly as you say. Watch Trump rewarding Fascist neo-Nazis for their crimes.